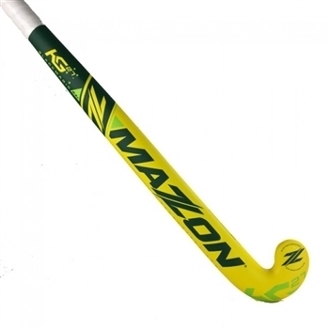 The Mazon Black MAGIC KG27 is designed in conjunction with Kookaburras and JP Warriors Superstar Kieran Govers. The 24mm X Bow and head shape are to Kieran's exact specifications. The weights slightly vary but are manufactured to match Kieran's preferred stick weight. Plus the usual BlackMagic RVS+/TS9/THZ and Max Impact Shock Zone to create one of the most unique and powerful sticks available. Only limited batches of this stick are made. Making it one of the most sought after hockey sticks.